When you think about locksmiths, what’s the first thing that comes to mind? For most, it’s probably something simple and logical like popping a lock when your keys are locked inside the car. But locksmiths can do so much more than that! By training and experience, we are the lock and key experts. This means we’ve got the skills and knowledge to help improve security for just about any need, from vehicles to homes and commercial properties alike. Whether you need your home rekeyed or you’re locked out of your car, the Job Done Locksmith team is here to help. We can duplicate keys and install new locks, but more than that, we can also help with keyless entry locks, access control systems, and even security systems with cameras. Whatever your security need, we’re here to help. 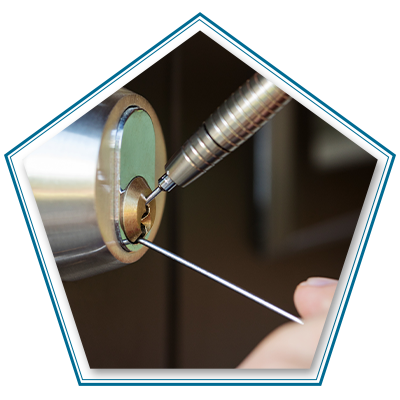 Call Job Done Locksmith today for 24-hour locksmith help in Cherry Creek and across Denver! • Professional, experienced locksmith services. • Expedient help in an emergency locksmith situation — our locksmith team is available 24/7 because we know lockouts can’t wait. • On site key cutting, including electronic car keys and transponder keys. • On site lock repair, replacement, and installation, including keyless entry locks. • Installation and servicing for security systems with cameras and for access control systems. Zip Codes Including: 80206, 80209, and More! Whether you’re looking for a full security system with cameras or you need panic bars installed on exterior doors, we’re here to help boost the safety and security of your business. The Job Done Locksmith team can provide you with so much more than lockout help for your commercial property. We can install heavy-duty locks and master key systems, but we also have more high-tech answers for your security needs. A big part of any commercial security system is keeping your business well protected while still welcoming in customers. We can arrange access control systems and keyless entry locks that will protect areas you need to restrict while allowing customers and employees easy passage where they’re welcomed. Proper business security helps with a range of different concerns from theft to fire, and beyond. Our locksmith team is highly trained to assess security needs on an individual basis and to provide security solutions based on what your business needs. Whether you’re looking for lock replacement or a full security system, connect with our local locksmiths to better protect your Cherry Creek business. Just as we do with commercial properties, the Job Done Locksmith team can also help boost the security of your home. One of the simplest — but most effective — measures for any home is a properly installed deadbolt lock. It sounds so low-tech, and yet deadbolt locks been proven time and again to slow down and deter burglars! If you’re concerned about your home’s security, we suggest starting with two things: checking your deadbolts’ installation and having your locks rekeyed. For those looking for even more of a security boost, we are also happy to discuss installing keyless entry locks, setting up a master key system, and so on. We understand that there are plenty of historic homes (and vintage-inspired homes) in Cherry Creek and across Denver. We specialize in lock repair and replacement that will get older locks in great working order without compromising the historical integrity of the home. Don’t let that stiff, hard to turn lock continue bring a hassle just because you want your historic home to remain authentic. We can help you boost security and get those locks working the way they should. No matter what your home security need, Job Done Locksmith can help. Give us a call for home lockouts and other home security help in Cherry Creek. Locking your keys in the car is probably the most common reason Denverites call up a local locksmith. But, as we’ve said before, if it involves a lock and a key, odds are good we can help — and that definitely extends to the locks and keys on your vehicles. From car lockouts and broken keys to replacing car locks, our locksmith team has you covered. If you dread spending hours at the dealership just to get your electronic car key fixed, we have great news for you! Our local locksmith team can come to you for quick key cutting, including electronic car fobs and transponder keys. We can also repair stiff or loose car locks and rekey your locks and ignition to provide a security boost. Want to learn more about car locksmith help? Call the Job Done Locksmith team for help in Cherry Creek and across Denver.